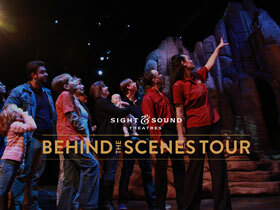 Special “Behind the Scenes Tour” of the production of “Samson”. Please arrive at 12:30 pm; tour begins at 1:00 pm and lasts 1 hour. Behind the Scenes pass available with purchase of regular season ticket. There are hundreds of good reasons you should bring the entire family to see a Branson show, but sharing with them the spectacular production of “Samson” is all the reason you'll need!